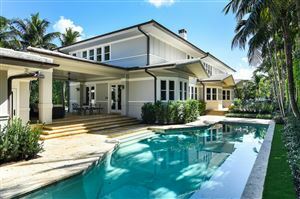 Spectacular Beach House in pristine condition, beautifully redesigned by Marc-Michaels Interior Designs. Situated on lovely In-Town Ocean Block Clarke Avenue. Gorgeous estate features 5 bedrooms and 6 and a half baths. Stunning, large Master Suite features fireplace, sitting room, and dual baths and walk-in closets. Every need is accounted for, with an elevator, full house generator, and two car garage that is conveniently accessible via service drive. 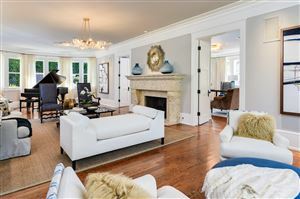 Estate features fabulous entertaining areas, including oversized living room with fireplace, library with wet bar, and window-lined family room that leads to open patio and covered loggia. Chef's paradise with top-of-the-line appliances, eat-in kitchen with island, breakfast nook, and formal dining room.